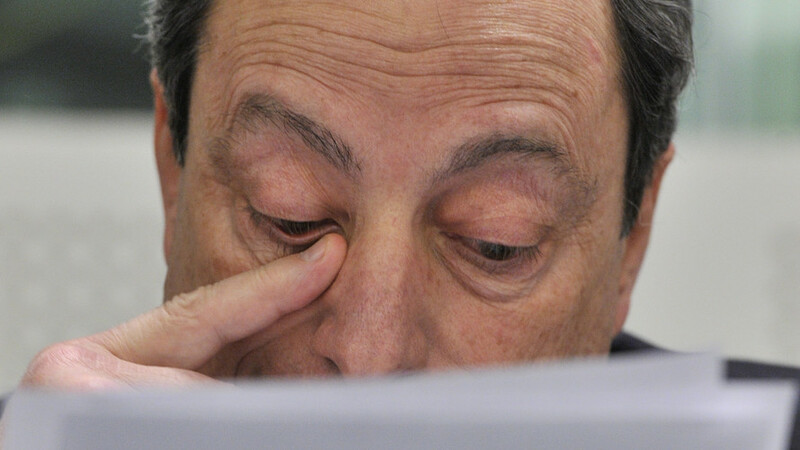 European Central Bank President Mario Draghi has a thorny problem on his hands. If the ECB doesn’t relax the rules governing which bonds are eligible for purchase under its €80 billion ($88 billion) a month bond-buying program, it will reach its self-imposed limit on German debt purchases by the end of next year, according to an analysis by FIS Group, a Philadelphia-based asset manager with a focus on global stocks. However, German policy makers, including Bundesbank President Jens Weidmann, the head of the Bundesbank, and Sabine Lautenschlager, a member of the ECB’s six-person executive committee, have said they oppose making such a change. When Draghi & Co. first announced in January 2015 that they would begin buying massive quantities of public and private debt, they promised that national central banks would buy each member states’ sovereign debt in proportion to its share of the eurozone economy. The ECB, however, initially limited the share of the supply of any single security that eurozone central banks can hold to 25%, later raising the limit to 33%. The ECB must also limit its exposure to any one bond issuer to the same 33% threshold. The central bank also imposed restrictions on credit quality, making Greek and Cypriot debt ineligible, and promised it wouldn’t buy debt with yields lower than the ECB’s deposit rate, currently at minus 0.4%. Germany is the Continent’s largest economy, and its most populous country, so its debt constitutes by far the largest share of bonds bought as part of the program. Because of its high credit quality, yields on German bonds are lingering near historic lows. Presently, €755 billion, or 58%, of the country’s debt outstanding is saddled with negative yields, according to Société Générale. Doubts about the ECB’s ability to expand its stimulus efforts have grown since the ECB’s September meeting, when Draghi declined to commit to an extension of the central bank’s public bond-buying program past March 2017. On Oct. 4, Bloomberg News reported that ECB officials had discussed tapering the program. The ECB denied the report, saying that tapering hadn’t been discussed. Most market analysts argue that an extension is imminent. “We still expect the ECB to prolong QE in December until September 2017, at the €80 billion [a month] pace, tweaking the capital key,” a team of macro strategists at Bank of America said in a note to clients published Wednesday. FIS’s Williams said she expects the central bank to begin tapering its public-debt purchases within the next 12 months, particularly if inflation accelerates toward the central bank’s 2% target. The ECB has said it would continue with its monetary stimulus efforts until inflation rates move toward level that are below, but close to, the central bank’s 2% target. Since early this year, the ECB has been agitating for local eurozone governments to adopt fiscal stimulus to alleviate some of the pressure on the central bank. “Structural reforms are necessary in all euro area countries. The focus should be on actions to raise productivity and improve the business environment, including the provision of an adequate public infrastructure, which are vital to increase investment and boost job creation,” Draghi said in a statement delivered after the central bank’s September meeting. In June, the ECB began buying corporate bonds to supplement its public bond-buying program. But the corporate bond program is much smaller, adding up to around €9 billion out of the bank’s €80 billion in monthly purchases.